Vickie was working for The Walt Disney Studios when she was prompted to take the 15-week, Perspectives course at a church near her home outside LA. She had spent over 30 years in positions focused on leadership and business development, strategic planning, technology, research and development, innovation, and creativity. Feeling a hunger to know and do more for Jesus, she registered for a weekend retreat that promised to help her identify next steps in her journey. After The Journey Deepens (TJD) weekend retreat, her life changed. 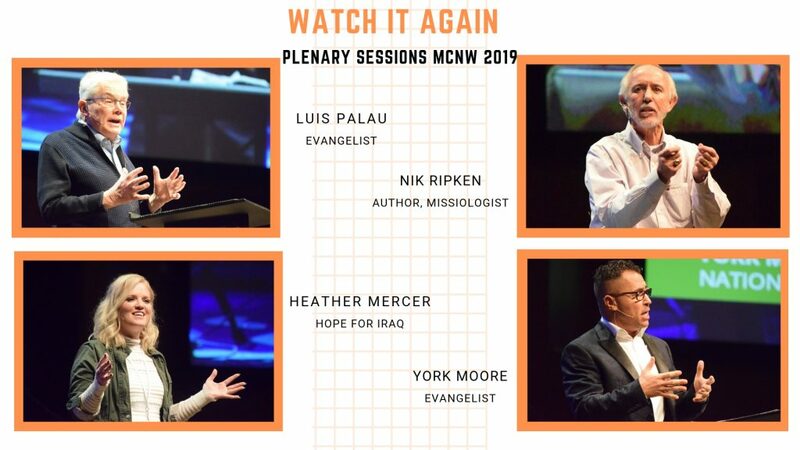 Today, Vickie Warren is the ceo of MissionNext, formerly The Finishers Project, which offers “Pathways to connect God’s people with options to serve”. It is also the parent organization of The Journey Deepens. For over 11 years now, The Journey Deepens has been helping guide hundreds of people just like Vickie into their next assignment. 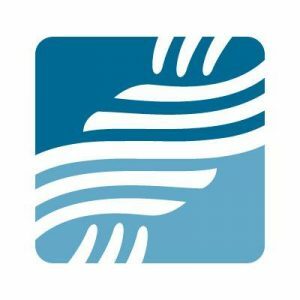 Mission ConneXion has been privileged to partner with TJD every year since 2012 because with 60% of its participants finding their place in missions within 3 years of going through a TJD weekend, they’re the best group we know to help people discover their own unique onramp to missions. Here’s what others have said of their experience. Attendees are divided into small groups of 6-8 people each and each group has two cross-cultural experienced missionaries as coaches. There are 4 plenary sessions, each one dealing with a particular topic, followed by a 1/2 hour time for each person to be alone with the Lord to process what they have just heard. Then they come together in the small groups for an hour to talk through what they have heard, ask their questions and learn from the coaches. These groups are the ‘heart and soul’ of the weekend. The four themes covered have to do with: 1) Spiritual preparation for missions service, 2) Your next role in missions (Goer, Sender, Mobilizer), 3) Prayer (a Concert of Prayer is used to model and engage in prayer for the nations), 4) Spiritual warfare. Like Vickie, you may be in a career that is completely satisfying to you, “being Jesus” in your work environment. You may also wonder, like Vickie, if the Lord could use your career skills and experiences in an environment that is completely dedicated to the furtherance of the Gospel, and the Great Commission…and not known quite how to proceed. 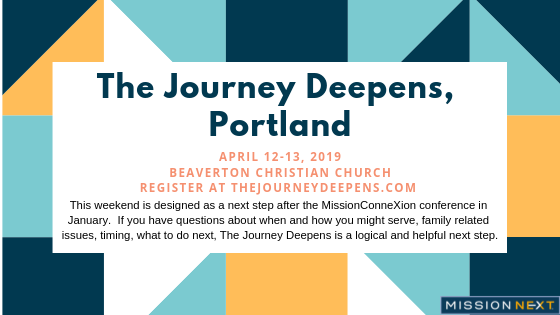 The Journey Deepens Portland 2019 weekend is April 12-13! If you would like to register, click here. Heather Mercer shared how she was told growing up she could be “anything she wanted to be” by her parents, but when she chose a ‘career’ to bring His Name to the ends of the earth; she was “not the number one draft pick”, and that was the only profession her parents did not want her to choose…” but Jesus has always proven to be “worth it”. Nik Ripken talked about all those Somalians he and his wife worked closely with, as dear friends, who counted Jesus as very much “worth it” – but who all lost their lives for their faithfulness to Him. 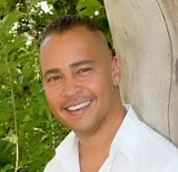 York Moore shared how growing up an atheist, and destitute in Detroit, Jesus became “worth it” to him in college when he compared his life to that of a firefly, and sin like a spider, and was transformed through the power of the gospel! If you missed any of them, you can still watch their presentations here. Workshops: 3 of the “top 10” in attendance were brand new entries: “Apologetics for Kids”; “Gospel vs. Social Justice”; and “Next Gen”. Churches: 546 were represented in total with nearly 60% of churches drawing multiple attendees. 3 of the “Top 10” churches bringing the greatest number of attendees came from 50 miles away or more! Host Rolling Hills Church was “#1” with 60 in attendance! Attendees: People came from 20 States and 4 Countries (including China and the UAE), and almost 30% were first-timers! Live-Streaming: 7 countries and 15 different States tuned in to watch online! Book Store: first time for Willamette Valley Christian Supply in Corvallis at MCNW. Owner Kevin Ferguson and his team did an awesome job! Leadership ConneXion: 170 maxed out the largest room at Rolling Hills Church. 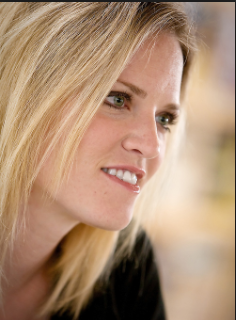 Worship: “Chasing Ebenezer” duo, Ben and Heidi Sadler, were rated by attendee surveys to be, perhaps, “best ever” based on content, volume, and spirit sensitivity. Volunteer Team: over 160 were trained, and most of our “leads” were brand new this year. They rallied and make it happen every year. Without them, and the gracious, partnering efforts of Rolling Hills Church – this event would never get off the ground. Matching Gift Effort: Generous attendees – we’re only about $5000 shy of matching our $30,000 goal! If you would like to donate, you may send a check to PO Box 91338, Portland, OR 97291, or give Online here. Finally, what did attendees say was “Worth It” for them? I prayed a lot before attending for the Holy Spirit to show me where He is leading me and he did~ and I knew it when I connected with one of the exhibitors. Praise God! I was a volunteer and I was so blessed!! I was greatly impacted by Luis Palau’s quote, “Keep at it laddie. 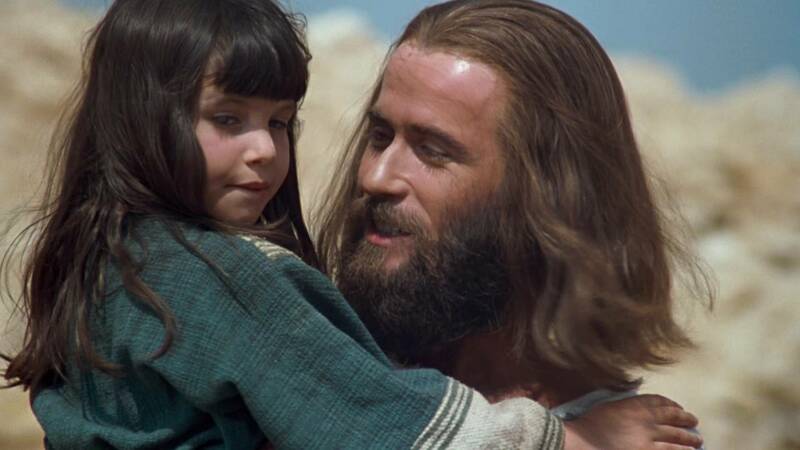 God loves to hear men speak well of His Son,” stuck with me. If you participated with us this year – Thank You! If you were unable to, please check out the recorded, free, plenary and workshop sessions here. We trust that this event allowed Jesus and His Gospel, to become more “worth it” for you, and that as a result, you know where you fit in His plan to reach the nations! When I was in college, God challenged me to value people more than possessions and position, and to live among the poor. We are thankful for York’s willingness to answer a few questions around this year’s theme, “Worth it?” Settle in and get to know York in this personal interview about his faith, and how he chooses to follow Jesus every day. Growing up in poverty, I strove to succeed in college. I was fortunate to go to an amazing school-the University of Michigan (Go Blue!). I graduated with honors and landed a dream job. There, I worked hard and excelled, making more money than I had ever dreamed possible. I also started my own consultancy, servicing several Fortune 50 companies as an information broker. Times were very good, but fear was always close at hand. Memories of going to bed hungry while squatting in an abandoned building with no electricity would often fuel my fears and keep me going. Whenever my career or clients became difficult, I always thought back on how hard things were growing up. Recently I had the privilege of being part of a unique prayer gathering. A representative from the Billy Graham Evangelistic Association shared that the Church in America has been somewhat asleep in recent years, and that it was time (for us to pray) for it to awake and lead. Recently my wife and I had the privilege of spending time near the ancient cities of Athens and Corinth among workers serving in some of the hardest places for the gospel throughout Asia. Two individuals had run a bookstore selling Christian literature for many years in a major city but suddenly had to shut it down, fearing for their lives, because of those who fanatically oppose followers of Jesus. When forces act in the same direction, they combine to make a bigger force. When they act in opposite directions, they can cancel one another out. If forces combine to make an overall force in one direction, the object moves in that direction. Is Jesus Some Person Living in Your Village? A message from our friends at SEND International. 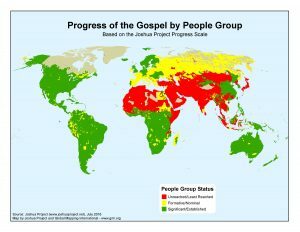 What is an “Unreached People Group”? Some people groups have thriving, evangelizing churches already living among them. Odds are, if you are taking this topic in a local church, your people group falls in this category. We refer to these as reached people groups. This does not mean that everyone in the people group is a believer. It doesn’t even mean that everyone in the people group has heard the gospel. It simply means that there are disciples and churches within the people group who able to finish the task. It means that lost people in that people group have access to the gospel, whether they have actually heard it or not. Disciples and churches within that people group can evangelize and disciple the people around them better than anyone else, and that responsibility rests on them. A guest article from our friends at TEAM. When you pair a longing for adventure with a desire to share the hope of Jesus Christ with the world, missions seems like the natural next step. How can you discern whether your passion is leading you on the path to cross-cultural ministry work?